Most tools of the trade will be visible to you from the dental chair. Since we often fear the unknown, why not learn to identify these tools? The melodious drill—perhaps it’s the high pitch, but for some reason most people unnecessarily dread the dental drill. Different drills are used for different things, such as filling cavities, repairing chips, smoothing teeth, or removing tooth decay. No wonder it feels like it’s always running! Excavation by spoon—really it’s another metal stick-type tool but designed with a tiny spoon shaped end. Variations of this tool allow the dentist to remove different levels of softened decay or temporary fillings. 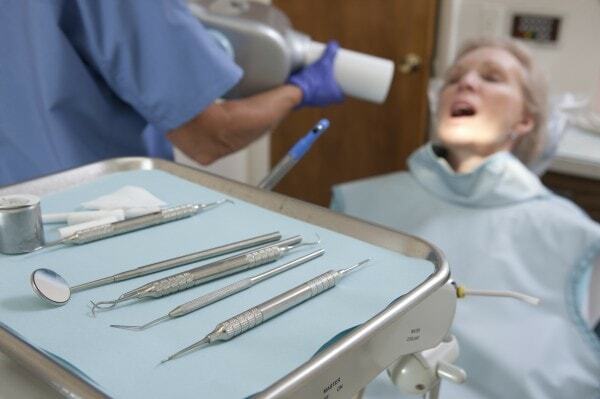 “I saw a blue light”—The material used in tooth repairs will not harden until exposed to the dental curing light. You may remember it as a “blue light” with an orange shield. Is it time for your bi-annual dental check-up or cleaning? Make that appointment today with Dr. Bodensteiner, your dentist in Visalia CA, and then congratulate yourself for knowing exactly how you came about having that dazzling smile!